A growing number of scientific studies support the idea that regular Buddhist meditation practice improves psychological and physiological well being. In several experiments it has been shown that experienced meditators have improved attentional and cognitive abilities [1-4], which are considered to be cornerstones for a healthier appraisal of potentially stressful situations and for psychological well being in general . Furthermore, first studies indicate a link between regular Buddhist meditation practice and changes in brain activity that are indicative of increased dispositional positive mood [6,7]. There also appears to be a direct link between Buddhist meditation practice and improvements of the immune response of the body . Meditation may also have some neuroprotective effects, delaying the aging process of the brain. Several studies show larger thickness of some areas of the cortex  or a larger gray matter volume in Buddhist meditators than in non-meditators [9-12]. To a large extent these differences appear to be based on a reduced age related decline of brain mass which is present in the normal population. 1. Brefczynski-Lewis, J.A. et al. (2007) Neural correlates of attentional expertise in long-term meditation practitioners. Proceedings of the National Academy of Sciences, U.S.A. 104, 11483–11488. 2. Cahn, B. R. & Polich, J. (2009). Meditation (Vipassana) and the P3a event-related brain potential. International Journal of Psychophysiology, 72, 51–60. 3. Chambers, R. H., Lo, B. C. Y., & Allen, N. B. (2008). The impact of intensive mindfulness training on attentional control, cognitive style, and affect. Cognitive Therapy and Research, 32, 303-322. 4. Moore, A. 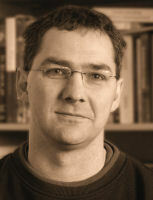 & Malinowski, P. (2009). Meditation, mindfulness and cognitive flexibility. Consciousness & Cognition, 18(1), 176-186. 5. Wallace, B. A., & Shapiro, S. (2006). Mental balance and well-being: Building bridges between Buddhism and Western Psychology. American Psychologist, 61(7), 690-701. 6. Davidson, R. J., Kabat-Zinn, J., Schumacher, J., Rosenkranz, M., Muller, D., Santorelli, S. K., et al. (2003). Alterations in brain and immune function produced by mindfulness meditation. Psychosomatic Medicine, 65, 564-570. 7. Lutz, A., Brefczynski-Lewis, J., Johnstone, T., & Davidson, R. J. (2008). Regulation of the neural circuitry of emotion by compassion meditation: effects of meditative expertise. PLoS ONE, 3(3), e1897. 8. Lazar, S. W., Kerr, C. E., Wasserman, R. H., Gray, J. R., Greve, D. N., Treadway, M. T., et al. (2005). Meditation experience is associated with increased cortical thickness. Neuroreport, 16(17), 1893-1897. 10. Luders, E., Toga, A. W., Lepore, N. & Gaser, C. (2009). The underlying anatomical correlates of long-term meditation: larger hippocampal and frontal volumes of gray matter. Neuroimage, 45(3), 672-678. 11. Pagnoni, G., & Cekic, M. (2007). Age effects on gray matter volume and attentional performance in Zen meditation. Neurobiology of Aging, 28(10), 1623-1627. 12. Vestergaard-Poulsen, P., van Beek, M., Skewes, J., Bjarkam, C. R., Stubberup, M., Bertelsen, J. & Roepstorff, A. (2009). Long-term meditation is associated with increased gray matter density in the brain stem. Neuroreport, 20(2), 170-174. This entry was posted on Monday, March 15th, 2010 at 10:37 am and is filed under Buddhist Meditation, Diamond Way Buddhism, Scientific Research. You can follow any responses to this entry through the RSS 2.0 feed. You can leave a response, or trackback from your own site. Thanks for sharing this information. More! !